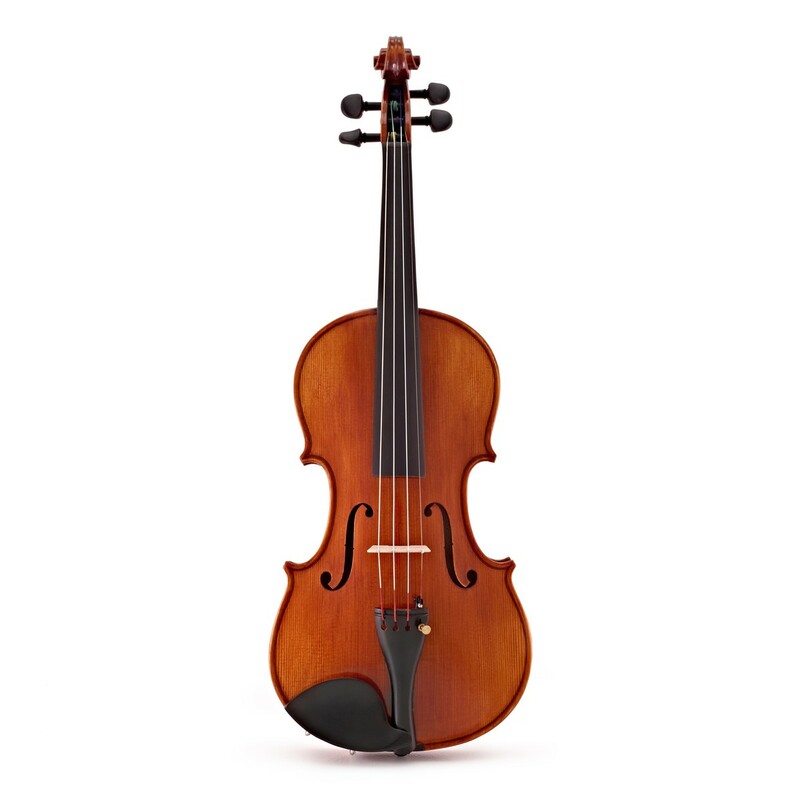 The perfect violin to take you into more advanced musical territory. 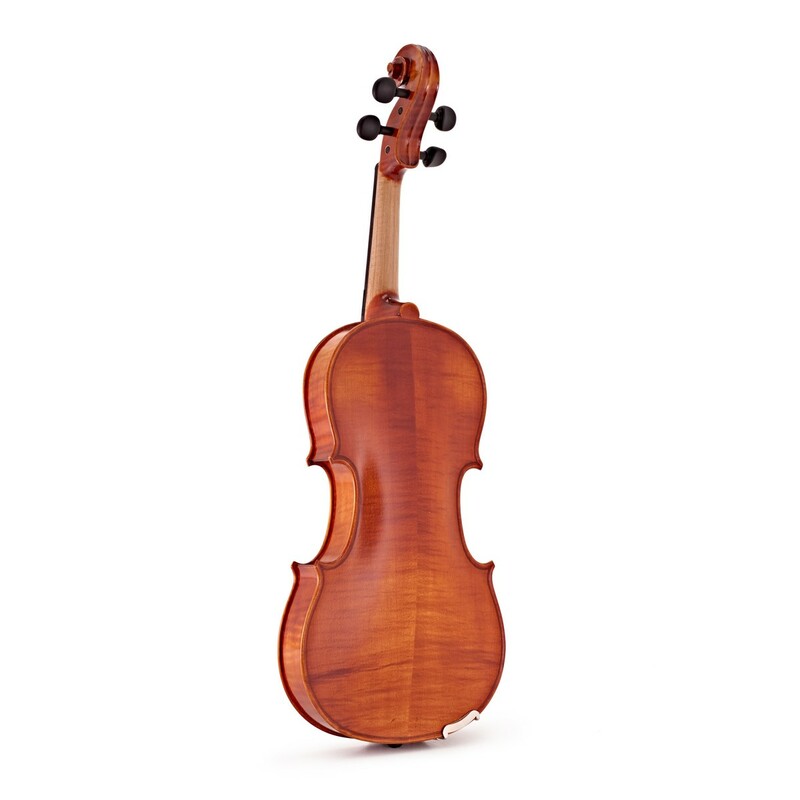 The Hidersine Piacenza Violin is both a superb quality violin and a stunning example of traditional craftsmanship. 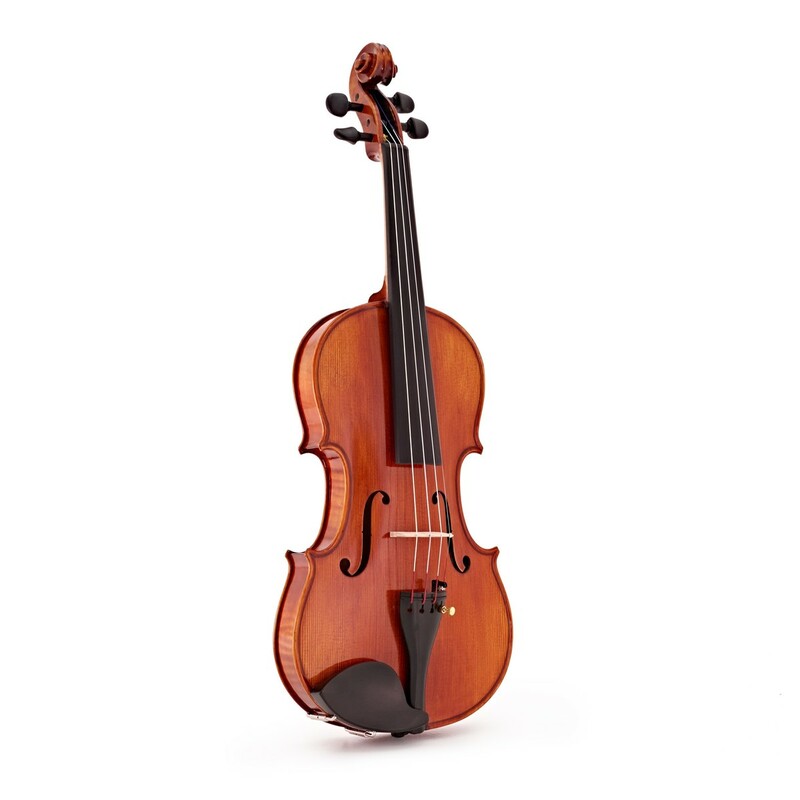 This Piacenza is a full size violin featuring Wittner's Finetune pegs. These pegs are a monumental addition to the Hidersine Venezia as they give you much more control and accuracy whilst you are tuning. 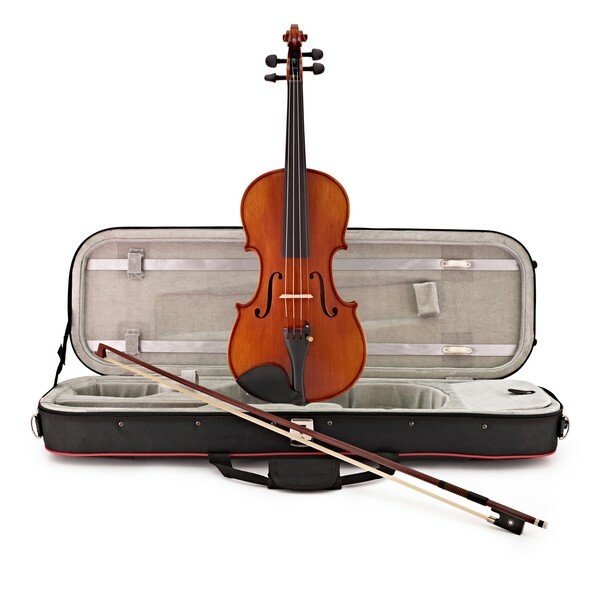 This outfit includes a half-mounted bulletwood bow with ebony frog, Hidersine rosin, and an oblong styrofoam case with accessory compartment and music pocket. Tuning Has Never Been Easier! Wittner's Finetune pegs are a revelation for players of all standards! The clever German-engineering in Wittner's Finetune pegs allows you to turn the internally geared peg in a controlled way, without the main shaft of the peg ever losing contact with the pegbox. This means you can make accurate, tiny increases or decreases in pitch. Getting your instrument in tune, and keeping it there has never been easier! 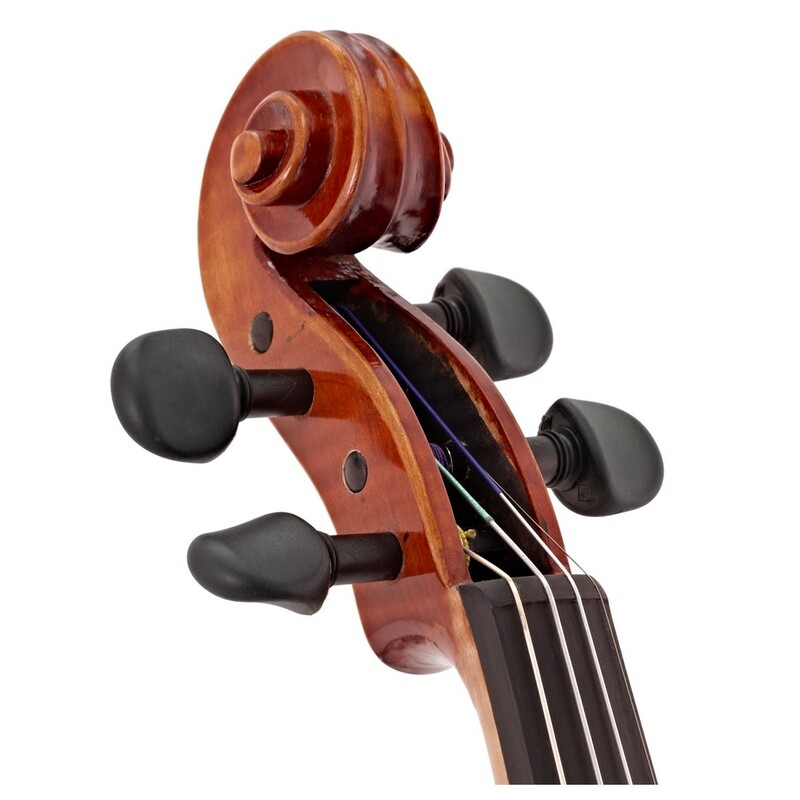 Hidersine Piacenza violins benefit from a genuine ebony fingerboard and chin rest. This hardwood has traditionally been used for hundreds of years due to its sincerely long-lasting properties. Genuine ebony doesn't mark, pit or wear out under lengthy playing periods. Ebony should remain structurally intact for a very long time, and it will also feel smooth on the fingers and chin, helping make the playing experience more all round enjoyable. 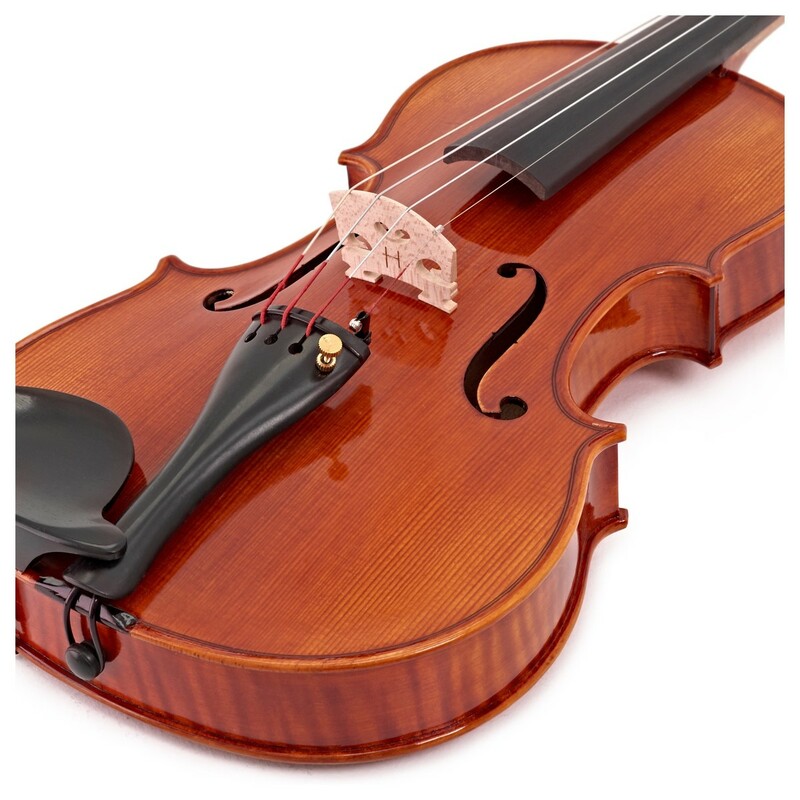 The H100 strings are designed to compliment the finest instruments. The Hidersine Piacenza utilises a nylon core string (strings A, D & G), which produces a warmer sound with more distinctive overtones. The E string has a quality steel core, which produces a brighter, thinner sound. Provided With Everything You'll Need! Your new Piacenza will be supplied as an outfit, meaning it comes complete with everything you need to get started. The outfit will include a case, bow, and some rosin. 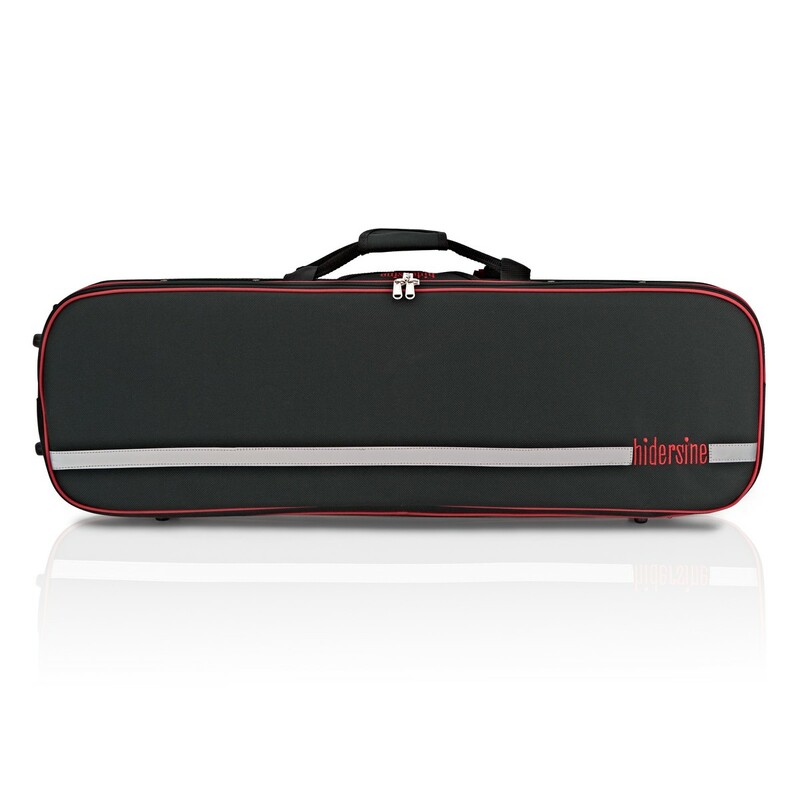 The oblong styrofoam shockproof case with detachable straps will provide maximum protection, along with internal accessory compartments and an outer music pocket. The bulletwood half-mounted bow with ebony frog is of highest quality. There is a smooth metal plate between the frog and the bow stick, allowing a smooth fit and protection for the wood as it slides back and forth as the bow is tightened and loosened. 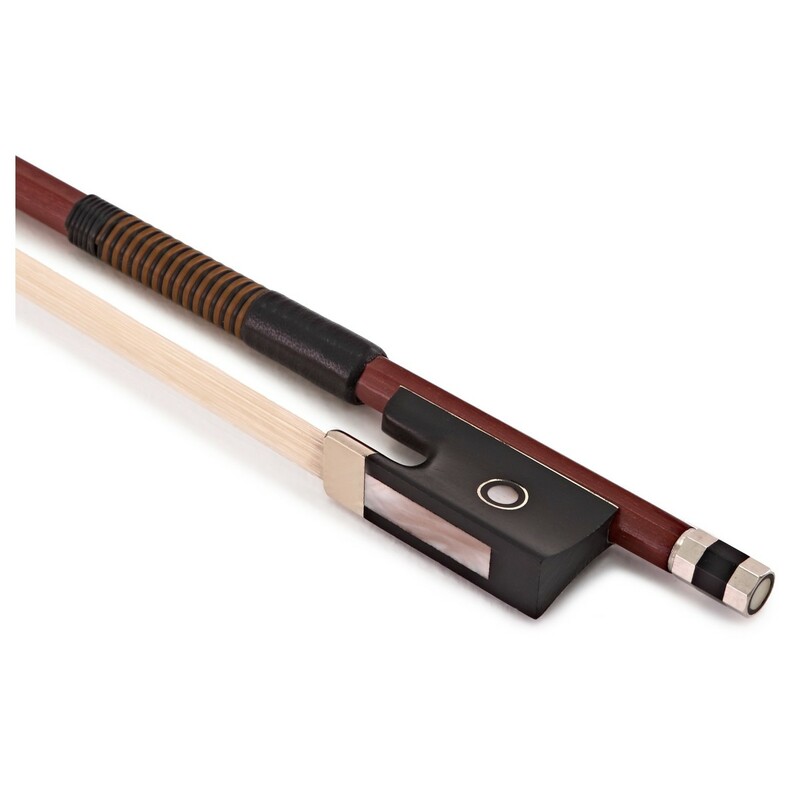 This means that not only will the bow assist in producing a superb tone, it will also perform its role for a long time to come. 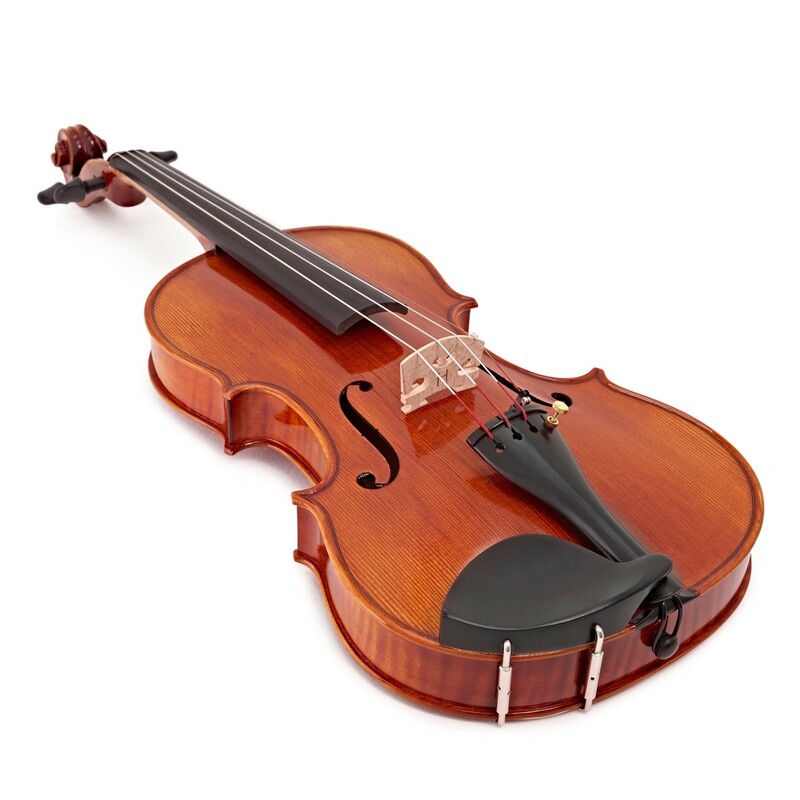 The form of your Hidersine Piacenza violin is the result of genuine hand-carving techniques. Not only have the intricate curves of the top, back and ribs been carefully tooled, but the neck and the beautiful head have also been skilfully crafted. Luthiers have been passing their immense skill down the line for centuries, and in the case of Hidersine Piacenza instruments, the skilled hand-carving techniques can be truly appreciated.